We will manage your pallet waste stream for you: We are still a family ownedand run business which means we care about the job we do for you. We will meet with you to fully understand how your business operates and tailor our service to match your needs. You may want a weekly collection on a particular day or “call-off” service (you call us when you need us, and we clear your pallets promptly). If you need a trailer to be left on site and exchanged when you’ve filled it with pallets, no problem. You will never have to chase us for paperwork. 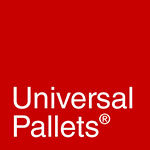 Rest assured you are dealing with one of the most professional pallet companies in the UK: we take Health & Safety seriously. We are happy for you to audit our systems should you need to. You will be offered a very warm welcome and we are at your service. We are currently the only UK pallet company to have received CHAS accreditation – this is a stringent and voluntary H&S audit system and we are delighted to have achieved this.